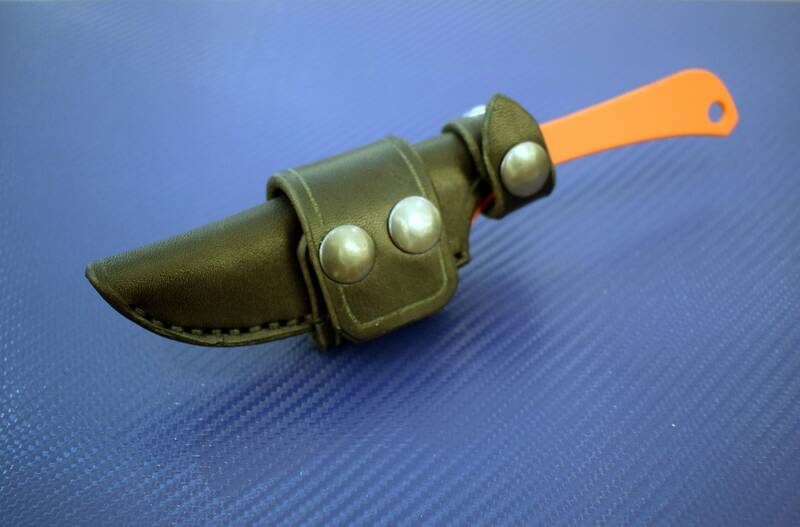 This is a handmade leather sheath for the Benchmade 15200 Altitude series knives. 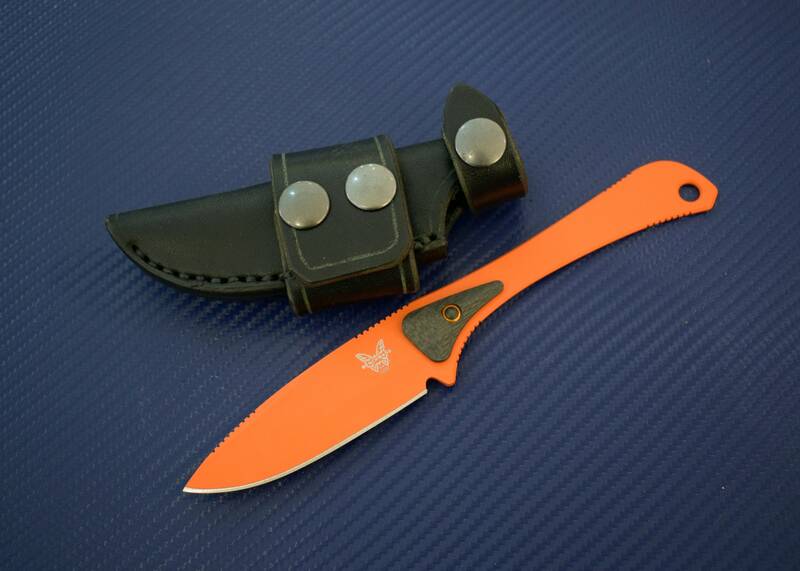 This sheath is an alternative and improvement over the kydex sheath that comes stock from benchmade. It is made out of 8-10 ounce latigo cowhide, and is available in a few different methods of suspension. 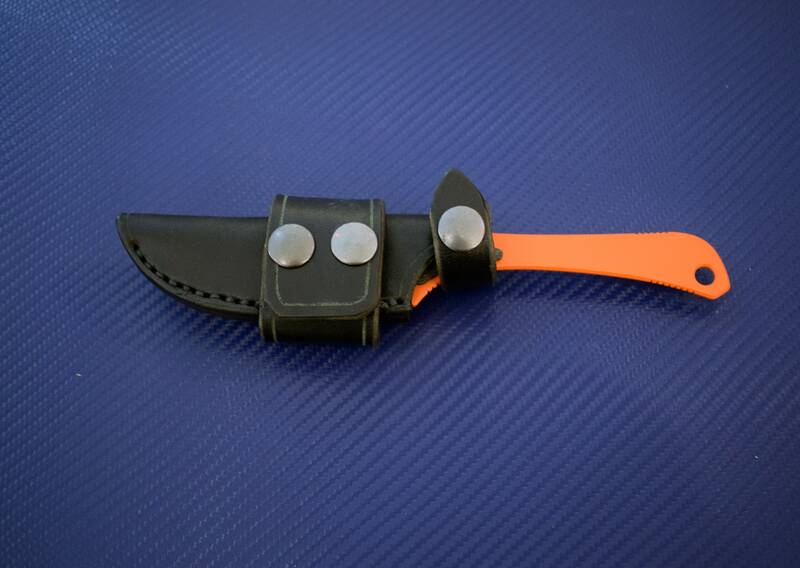 The "scout loops" are meant to carry the knife horizontally, and can either snap closed and be dedicated to Right or Left hand draw; or be a solid ambidextrous loop that you thread your belt through and can be carried in either direction.